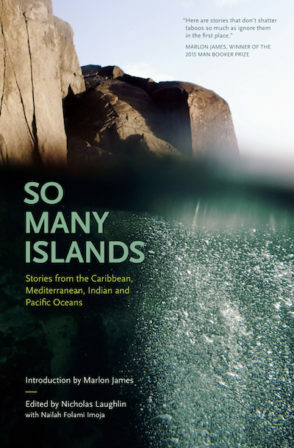 "A unique little bookshop crammed full of all things Caribbean." There are at least a thousand and one stories we can tell about the lives that have been lived in Trinidad and Tobago. Sharing these stories in images: some black and white, some sepia-toned, and some in full colour: this process of archival display holds our years of history out to us again. In the collection Record: Art: Memory: Photography in Trinidad & Tobago, the curatorial committee of Abigail Hadeed, Marsha Pearce and Mark Raymond has presented a window that peers into the past, and looks out at the future, simultaneously. It is a carefully-selected series of views, one that stretches back to 1883 Museum of Police Services images of ‘coolies’, and marches right up to Rodell Warner’s Photobooth compositions of 2011. Archiving of this nature makes it possible for those who missed its corresponding exhibition to properly take part, to slowly leaf through the pages and spend time with each still slice of life in Trinidad and Tobago. attendees of the Art Society’s exhibit, as well as those who are sorry to have missed it and want a permanent keepsake of the event. The Art Society of Trinidad and Tobago’s formal invitation to the (now-closed) photographic display. Lost Your Bookmark? Search Our Site! Use our official Contact Form! Come Turn Pages With Us! View Selections from our Music Catalog! 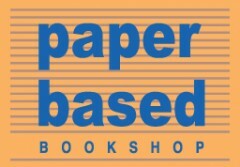 The Paper Based Bookshop Blog by Shivanee Ramlochan is licensed under a Creative Commons Attribution-ShareAlike 3.0 Unported License.